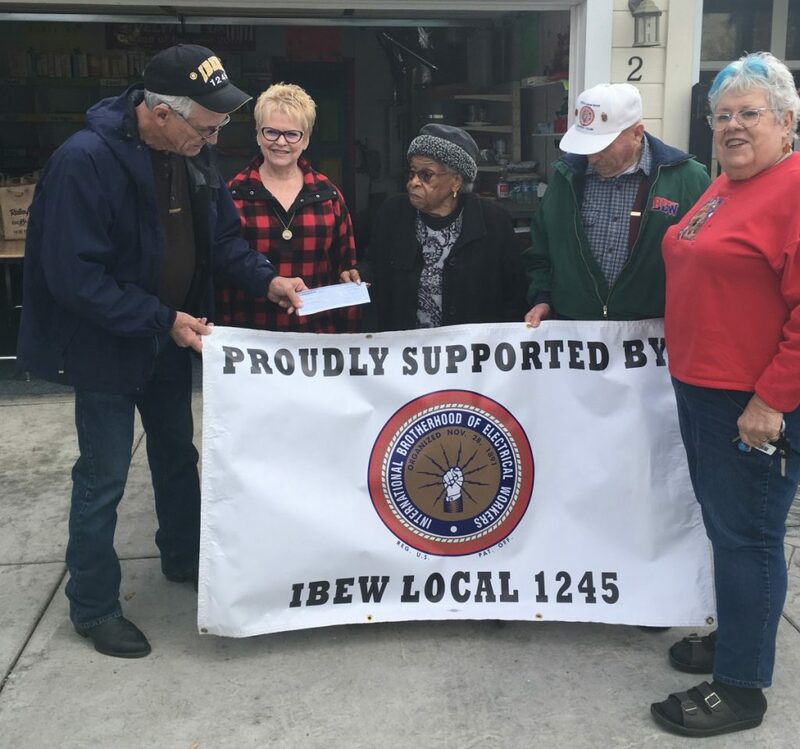 In what has become an annual tradition, IBEW 1245’s Reno/Sparks Retirees Club stopped by the Evelyn Mount Community Outreach Program to deliver a $600 donation check in support of her annual food drive. Mount has been collecting a distributing food to needy families in the Reno area for many years. Pictured above: Reno/ Sparks Retirees Club President Ron Borst and retirees Vickie Borst, Frank Istrice and Kathie Preston with Evelyn Mount (center).